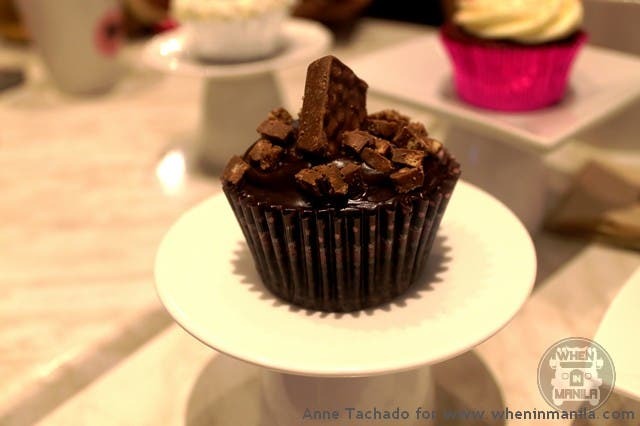 When in Manila, whether you’re working, studying or plainly existing amidst the pressures of city-living, you cannot help but long for an escape. A kind of getaway that will give you back all the positive vibes that got drained in routine and stress. A trip that will lead you back to your old-self, rejuvenated. 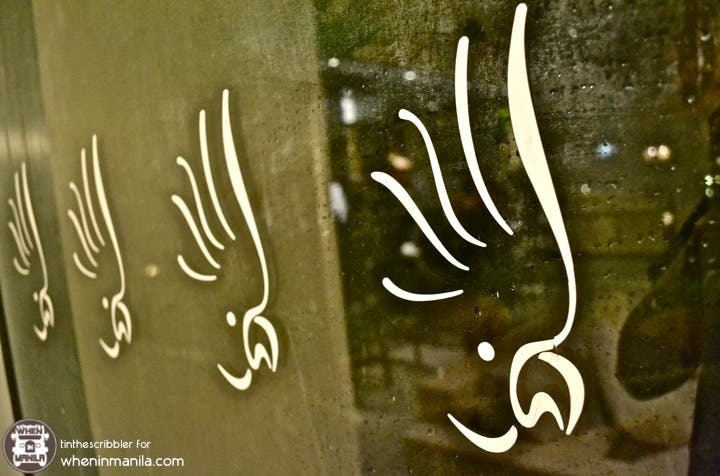 With Manila destinations sprouting everywhere, it’s getting harder and harder to find a legitimate go-to place that is worth the time and travel. Pico de Loro Cove is a place that bestows exactly that– an escape that supplies all that you need making your time, effort and risk of going there worth it. Take a leave, pack your bags and brave places outside Manila such as Pico de Loro Cove for that much awaited escape. Pico de Loro Cove is one of the 13 coves at Hamilo Coast in Nasugbu Batangas. It is called as such because Mt. Pico, a notable destination for mountaineers alike, resembles a parrot’s beak. Since Pico De Loro Cove is in the farther side of Batangas the expected travel time is 3-4 hours; but a new road called “Cavitex” connects Manila to Nasugbu instantaneously, cutting down the travel time to 1.5- 2 hours. 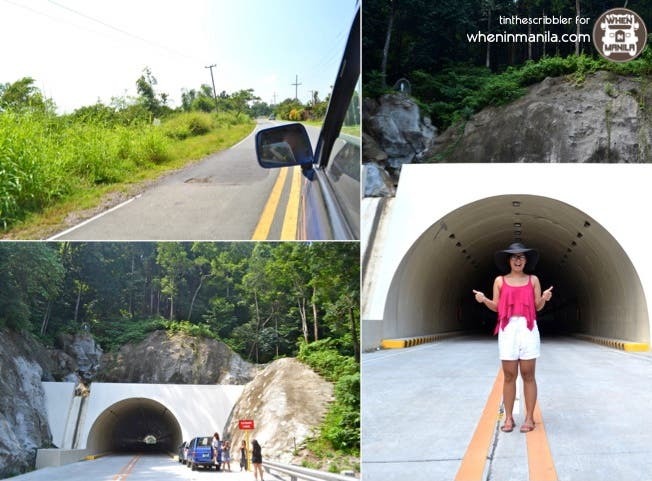 On your way to Pico de Loro Cove you will encounter Kaybiang Tunnel, the longest underground road tunnel in the Philippines. 10-15 minutes before arriving at Pico de Loro Cove you will come across this breathtaking view. 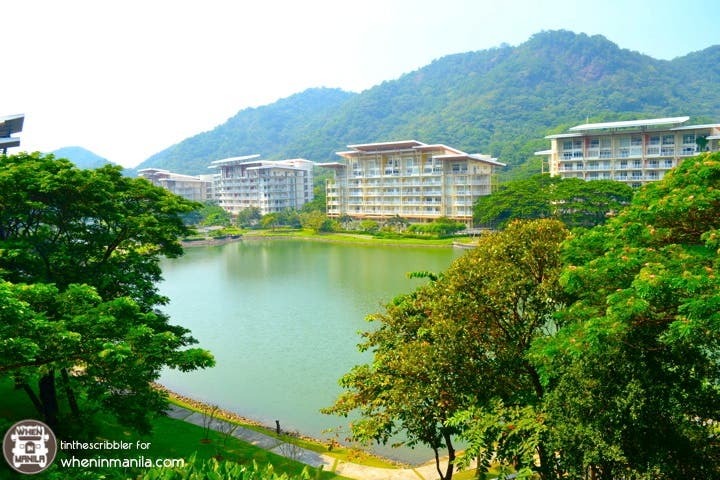 Pico de Loro Cove is one big compound in Hamilo Coast that houses Pico de Loro Country Club, Pico de Loro Beach Club, St. Therese of Child Jesus Chapel, condominiums Carola, Miranda, Myna and Jacana; and of course, Pico Sands Hotel. The simplistic and modern facade of Pico Sands Hotel is only one of the many wondrous structures in Pico de Loro Cove. 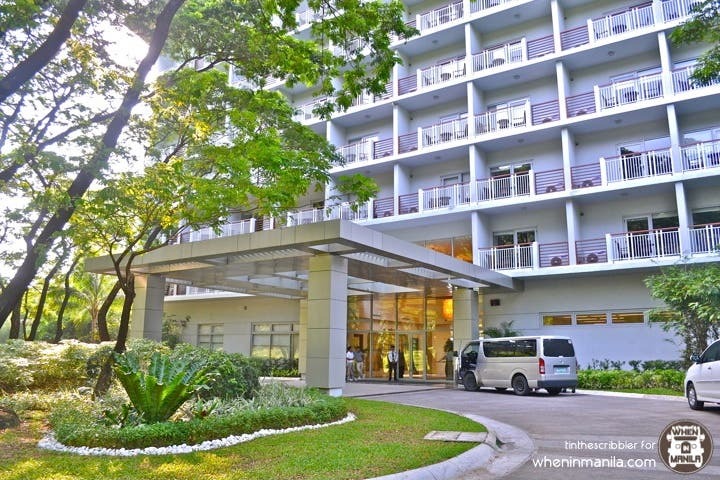 Pico de Loro Cove ‘s Hotel is a seven-storey hotel with 154 rooms designed to cater your need for a tranquil escape in the coast. 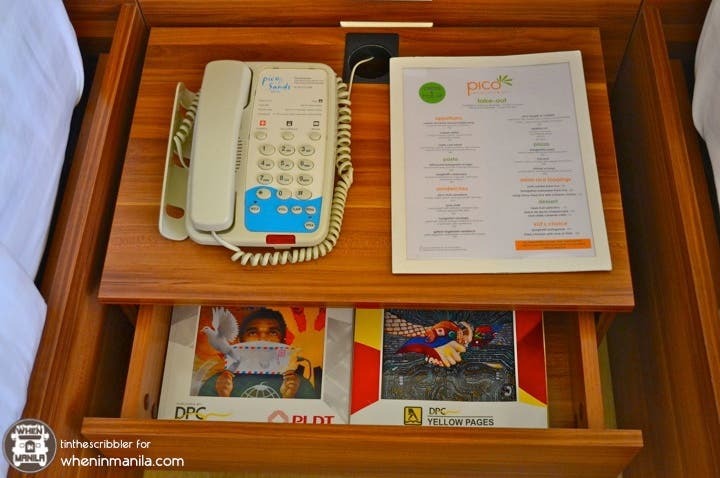 Pico Sands Hotel welcomes members and guests starting at Php 7,000 night. As you enter the lobby of Pico Sands Hotel you will be given refreshing drinks and hot towels as part of your welcome gift. 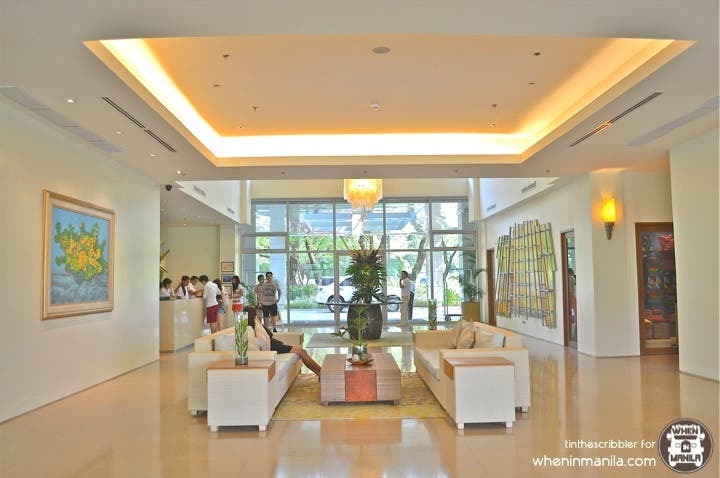 In Pico de Loro Cove everything is made to give their guests a new way to redefine coastal living. As such, their hotel rooms offers either a view of the lagoon or the mountain. I wouldn’t mind waking up to this view of Pico de Loro Cove everyday. This was our temporary abode in Pico Sands Hotel. The average room size is 37 sq. meters and room types offered are standard, deluxe, superior, premier, corner deluxe and penthouse lofts. The interior of the rooms is a combination of seashell white and sandy creams that promises a soothing feel whenever you enter it after a long day of activities. It’s complete with 2 comfortable beds and fluffy pillows to give you a good night’s rest. This was also part of our welcome gift, a waterproof eco bag from Pico de Loro Cove, that carries and protects our valuables while we’re doing different activities at the beach. The bathroom can make or break a hotel room, don’t you think? Of course Pico Sands Hotel‘s rooms deliver quite well on this. In Pico Sands Hotel, you are well provided for. Water, coffee and tea are in reach for those long night conversations and reading. Use this if you need to connect to the outside world or you need something from the lobby. Their room service is very fast and efficient. 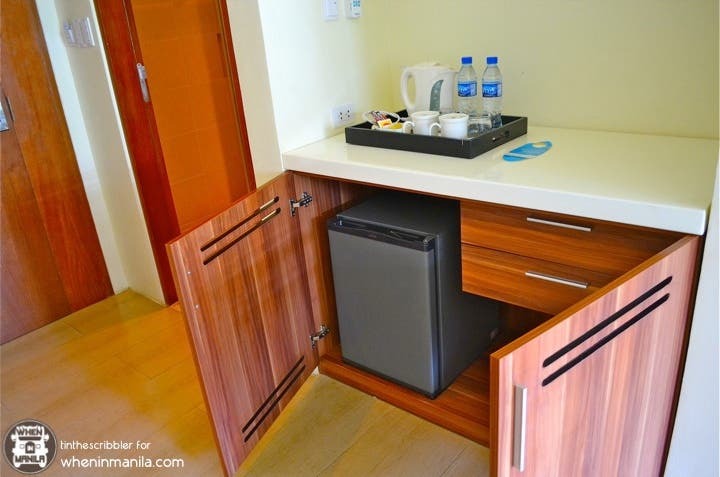 Rooms in Pico Sands Hotel are fully furnished with natural materials keeping everything sleek and pleasing to the eyes. What I love the most in our room are these two areas where I can just read and see the relaxing view of Pico de Loro Cove. Our terrace’s view from the inside. 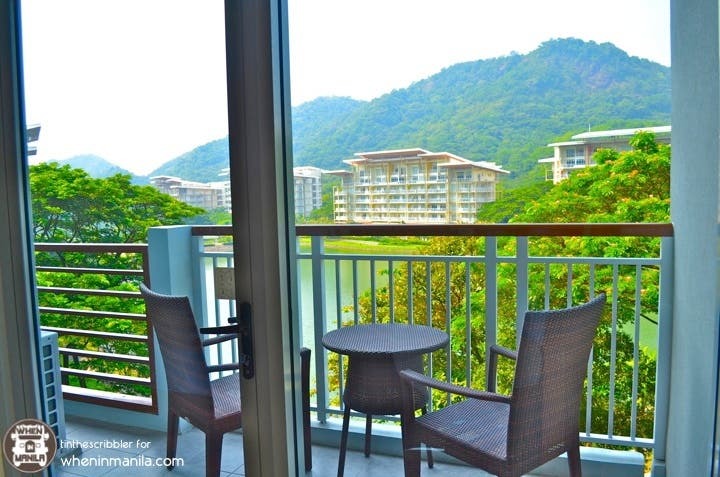 Say “hello” to the lagoon of Pico de Loro Cove. The famous icon of Pico de Loro Cove. Thor Jokes Never Get Old!